Run, jump and build your way to new worlds and high scores in Hazumino, the game that combines relentless endless-runner with tricky block puzzle gameplay! 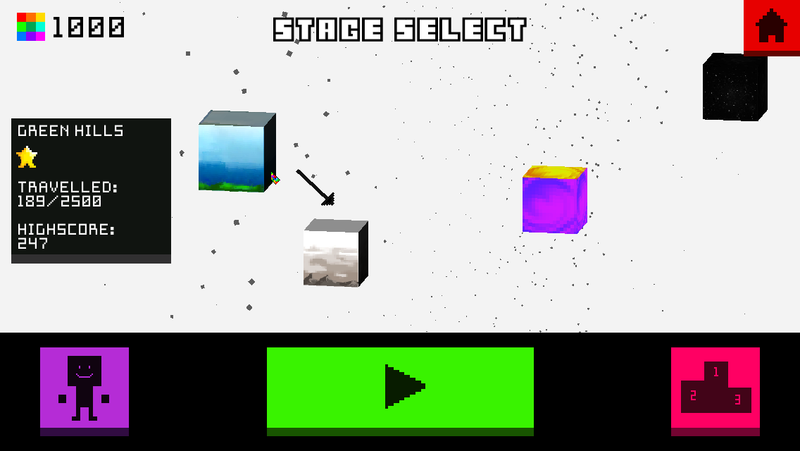 The brain-bending gameplay tasks players with the challenge of controlling tetromino blocks and an endless runner character at the same time. 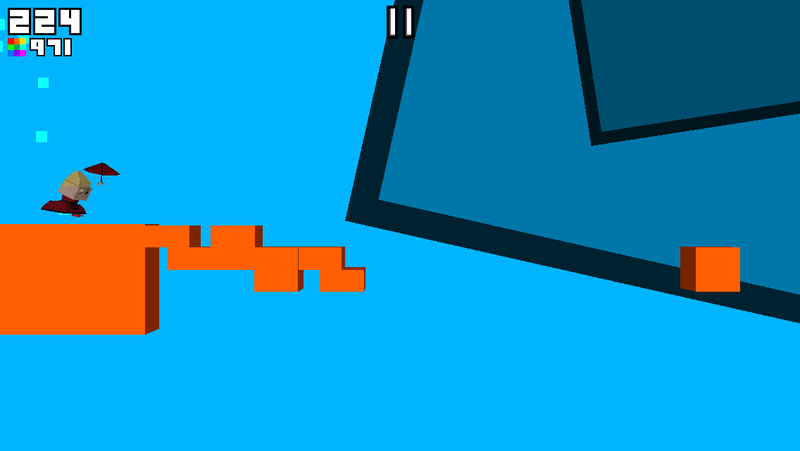 They must control the blocks to build bridges to run on, whilst jumping with the character to avoid obstacles. 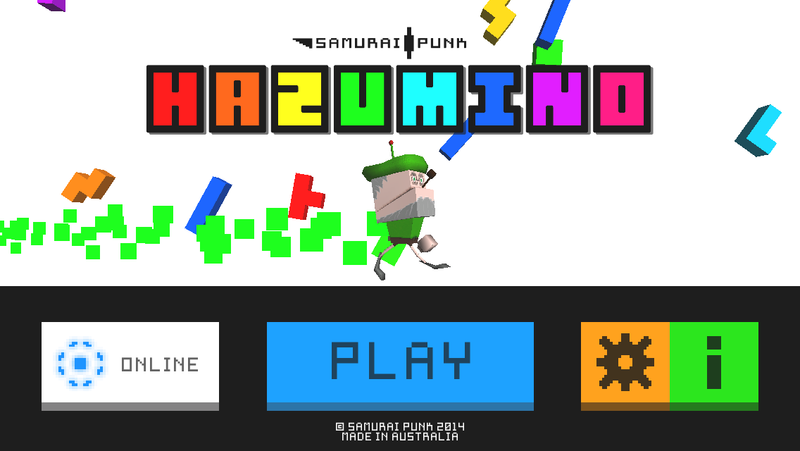 Hazumino is Samurai Punk's first major title, an addictive arcade-style game that mashes an endless runner with a falling block puzzle. 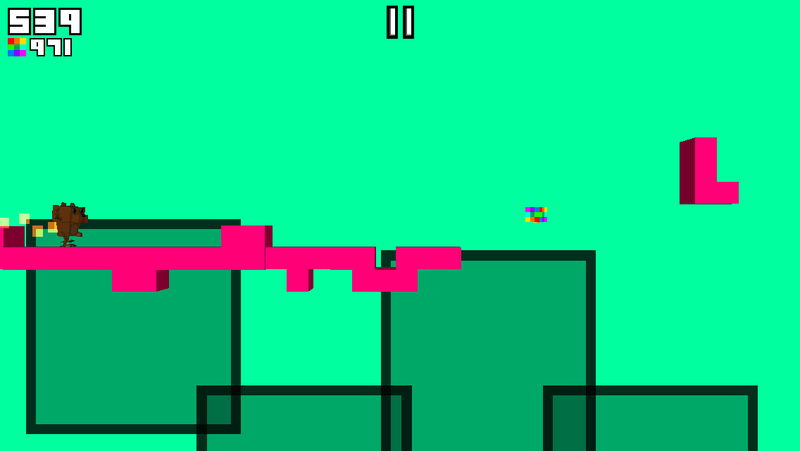 The original idea was conceived by Winston trying to find a combination that worked better than nuts and gum, which spawned the "Blockrunner" prototype in 2012. 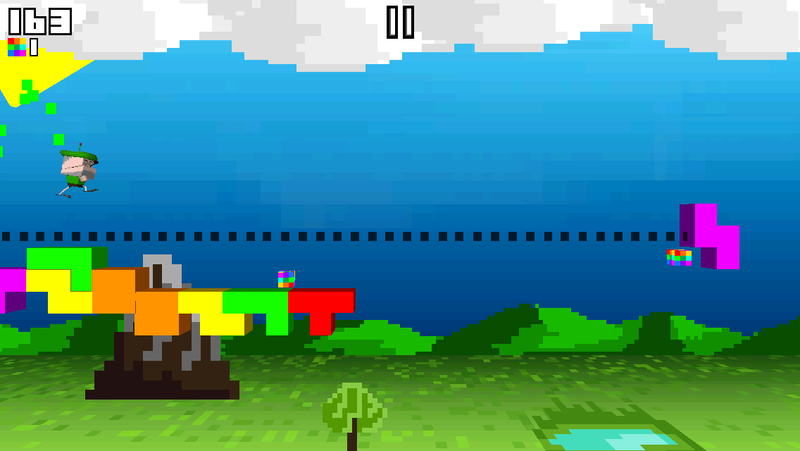 After sitting on the idea for a year, in late 2013 Winston teamed up with Nicholas to turn the prototype into a real game. The duo also brought Anastasios Manolopoulos, a talented composer from Melbourne, on board to handle the retro chiptune soundtrack. The original concept was tweaked and refined over several months, until the Hazumino we know today was formed. 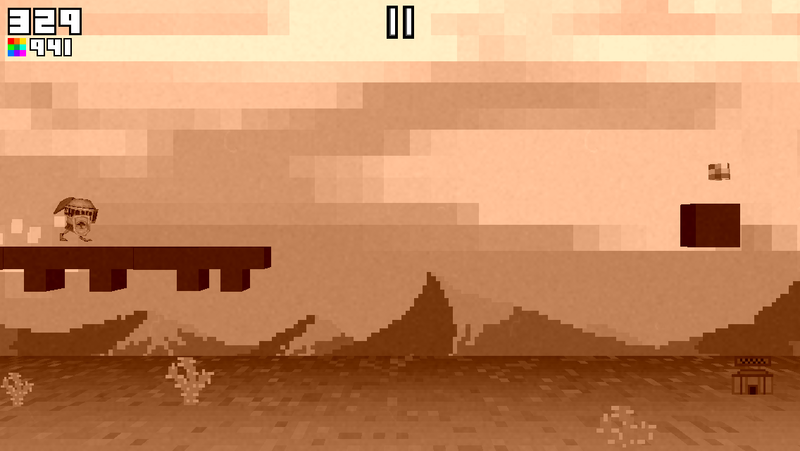 The game was released in April 2014 and was met with widespread critical success, being picked up and reviewed by numerous sites around the globe. Some highlights include features by The Guardian, Pocket Gamer, The Indie Game Mag, 148 Apps, GamesInAsia, iPlayApps and AppsZoom. 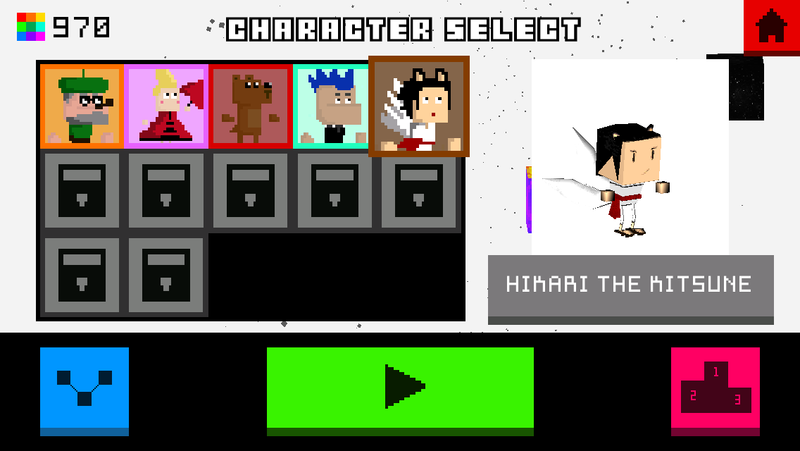 There are currently no logos or icons available for Hazumino. Check back later for more or contact us for specific requests! "Hazumino is a marvellous idea... Cutesy graphics and a nagging chiptune soundtrack make this a treat, with simple gameplay but a big just-one-more-go factor to keep you playing"
"Hazumino feels like an official Tetris spin-off, and since Tetris is one of the few perfect video games, that’s a good thing." "It’s simple, it’s brilliant, and it works." 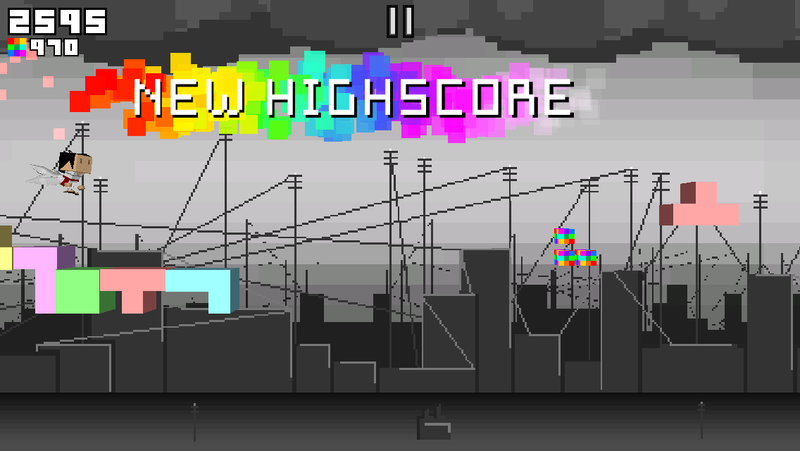 "It’s delightfully tense, and the dissonance between wanting to play like Tetris (fitting the pieces together) rather than using the pieces to shape a safe platform is entertaining." "It's rare to come across such a crossbreed like Hazumino, and it's definitely worth a few minutes trying to wrap your head around the different tasks thrown at you all at once." 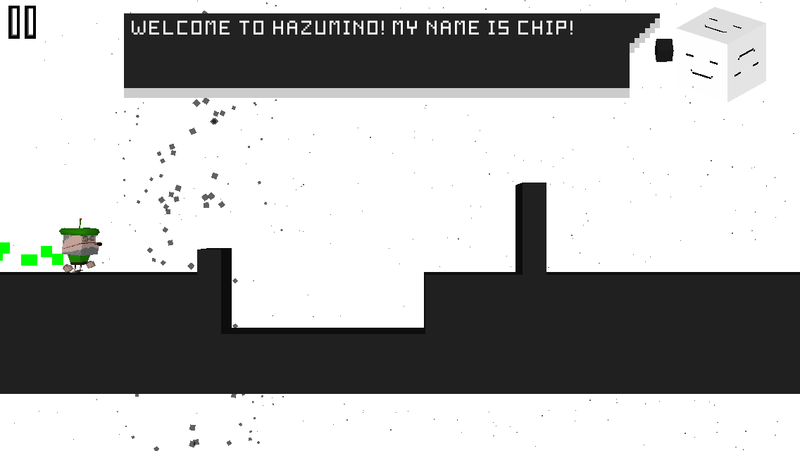 "If you're up for a challenge and enjoy retro-style visuals, go pick up Hazumino right now. "